According to the National Diabetes Information Clearinghouse (NDIC), in the United States during the year 2011 over 18.8 million people have been diagnosed with a condition called diabetes mellitus. When carefully regulated and monitored, any individual can lead a healthy, normal life with a reduced risk of complications. However, diabetes can also raise the risk of developing hypoglycemia or low blood sugar. Because of this increased danger, it is essential adults learn to recognize the triggers of low blood sugar symptoms – and how they relate to their condition. Diabetes or diabetes mellitus refers to a state where the body is unable to break down sugars or glucose that is ingested. In some individuals this disease is reversible (prediabetes and gestational) or irreversible (type 1 and type 2.) In either case, this will eventually cause an individual’s blood sugar to rise to dangerous or life threatening levels. This state referred to as high blood sugar or hyperglycemia, is controlled through the use of insulin injections or anti-diabetic pills. But how does a disease that causes hyperglycemia cause an individual to experience low blood sugar symptoms? Accidental overmedication can be experienced by any individual with diabetes, even if blood sugar levels are being carefully monitored. Commonly caused by the body experiencing peaks during specific hours (typically the morning and evening) this issue can be easily treated and avoided. Consultation and diagnosis by a physician is essential for proper regulation and administration of any medication or insulin injections being given. 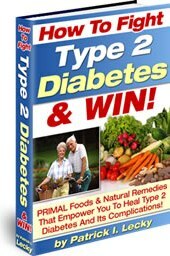 Specific medication types, such as first generation prescriptions (older types of medicine) used to treat type 2 diabetes are typically associated with this issue. But this condition can be the result of the individual response of the body to treatment. Prescription combinations or mixing of insulin injections and/or diabetic pills can prompt a hypoglycemic response. Also, it can be the result of mixing diabetic treatments with over the counter or other prescription medications. Always provide your physician with a complete list of medications, and check before taking an OTC. Reactive hypoglycemia is another condition that can produce low blood sugar levels in individuals with diabetes. Commonly triggered by the ingestion of meals containing high levels of simple sugars, it causes a delay in the release of insulin. This condition can develop between 1 to 4 hours after eating, making it essential that individuals with this disorder monitor their blood sugar carefully. Other causes of this condition are missing meals, eating an imbalanced diet and intense exercise. Low blood sugar symptoms are easy to prevent in individuals with diabetes, if you understand the causes. However, many of these issues can be minimized by proper physician supervision and careful monitoring of blood sugar levels throughout the day.